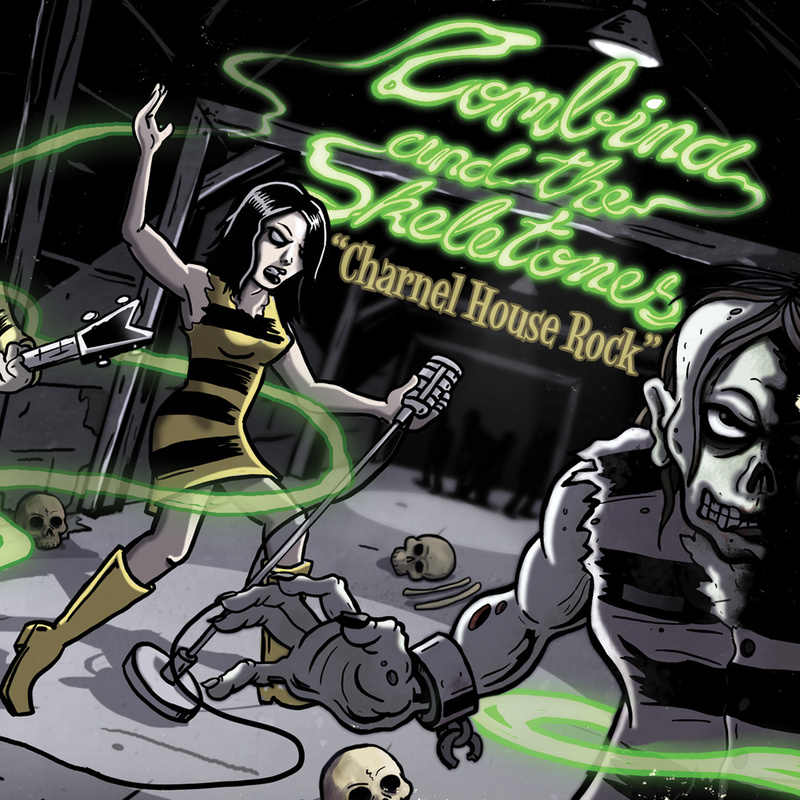 Zombina And The Skeletones are one of the longer running bands currently in the horrorpunk genre. Having formed in 1998, they have been releasing music steadily for the last decade plus. Their unique style of music is one that I have not really heard any other bands be able to replicate, at least successfully. While the lyrics are always leaning toward the morbid and the dark side, their sound is very poppy while mixing aspects of doo wop, garage and other genres into an intriguing hybrid. I’ve always found the band to be more of an oddity as opposed to one of those bands that I consistently listen to. While I do find myself listening to them on a semi-regular basis, their sound was so off-the-wall that I never found myself falling in love with them. Before Charnel House Rock was released earlier this year, a few one-off songs were also released, including an amazing cover of Love Is Strange featuring ex-Blitzkid bassist and vocalist Argyle Goolsby. So, needless to say I had to get my hands on the new album as soon as it dropped. Having had it in my possession for a few months, would this be the album to finally make me jump right over the wall when it came to Zombina And The Skeletones? Sadly, no. That’s not to say the album is bad. It isn’t. It is just another logical extension to their back catalogue that any die-hard fan will be happy to embrace, and can certainly bring in many new fans. The vocals of Zombina continue to be powerful and compliment the backing music perfectly. And the band is very good at what they do. Once again, it is just a matter of if this particular style of music appeals to the listener. In my personal preference, I am not an overly huge fan of the almost surfabilly style that the band has perfected. Some of the standout tracks include the fast and relentless opener, Tonight, There Will Be No Survivors and my personal favorite track on the album How To Make A Monster. If you are a fan of stuff that sounds a little off the beaten path, I highly recommend Charnel House Rock as well as much of the band’s discography. It is sometimes nice to get something a little different, and there is no doubt that Zombina And The Skeletones fit that mold nicely. To grab yourself a copy of Charnel House Rock head over to the official Zombina And The Skeletones Bandcamp page. And be sure to check out their Official Facebook page.